Inside the office, a half-dozen students are seated in a circle around a coffee table. There’s an award of some kind and an upside-down, 3D-printed robot with six legs standing up straight in the air — though both have mostly disappeared beneath piles of paperwork. A nearby bookshelf is filled with titles about electrical engineering and coding and robotics — the usual fare for a computer science professor. Near the top, however, there’s a copy of The Art of War turned on its side, sandwiching a book of JFK quotations and a Gary Shteyngart novel. Various groups of students cycle in and out of the office over the next couple of hours. It’s a morning of problem solving, as Rus checks in on the status of a wide range of ongoing projects, from robotics to self-driving wheelchairs. She tackles every imaginable angle of the research, from coding complications, to methods for promoting CSAIL among the student body, to where the best location is in Boston for testing an autonomous boat. The solutions, after all, have yet to appear in print. That’s the end goal of so many of these conversations: the acknowledgement among peers that comes with the publication of an academic paper. But in Rus’s role, the isolation of the problem is every bit as important a part of the process. It’s her job to keep the trains running here, overseeing the 750 students and 110 professors/supervising research scientists who make up the 54-year-old research institute. Rus’s own day is a testament to this. As the head of CSAIL, she helps lead the research and the outreach, serving as chief problem solver and cheerleader for some of the most exciting research in the fields of robotics and computer science. That she’s managed to carve out a chunk of a day to entertain me feels like something of a minor miracle, before she leaves for a two-week trip to Asia to spread the CSAIL gospel. She finally carves out a few minutes to speak at lunch — but not before giving an impromptu speech to the staff. She walks to the front of the room, a strange space with geometrically erratic wood paneling that reflects the architectural chaos of the building’s Frank Gehry-designed exterior. The lunch is, among other things, a weekly check-in — though this week it’s sparsely attended, with many of the professors off-campus for the summer. Rus floats the idea of intramural sports to help keep the students engaged outside class during the break. Reactions are mixed. “What about a Call of Duty tournament?” one of the professors suggests, with a laugh. CSAIL was officially formed in 2003, when MIT’s Laboratory for Computer Science (LCS) and the AI Lab merged, forming the school’s largest interdepartmental research lab. Its origins, however, date back to the late-’50s, when the school began its first official research into artificial intelligence. Over the past 50-plus years, the program’s various iterations have played a pivotal role in robotics and computer science. The lab’s website proudly boasts a laundry list of accomplishments, from the creation of Multics, which laid the foundation for modern operating systems, to early file sharing systems and mobile robotics, to some of the underlying technologies for the World Wide Web. In fact, Tim Berners-Lee is among the 110 team leads, with CSAIL serving as the current home for the World Wide Web Consortium. Rus’s own history with the lab dates back to 2008, fresh off a stint as a professor at Dartmouth’s Computer Science Department. She received her PhD a decade earlier at Cornell, under the guidance of pioneering theoretical computer scientist John Hopcroft. It was there that Rus, who had previously studied math and astronomy, fell in love with robotics. Her work shifted from the large, industrial robots that dominated research in the mid-90s, to the notion that robots could become more portable and modular. “The idea was to make a robot out of cells, just like living organisms are made out of cells,” Rus explains. “If you have cells, you can create whatever shape you want.” She formed the Distributed Robotics Lab at Dartmouth, taking it with her as she made the jump. The lab’s projects have diversified greatly in the last decade. As with all of CSAIL’s sub-laboratories, work is driven by its head researcher’s passions — and Rus, unsurprisingly, has many. 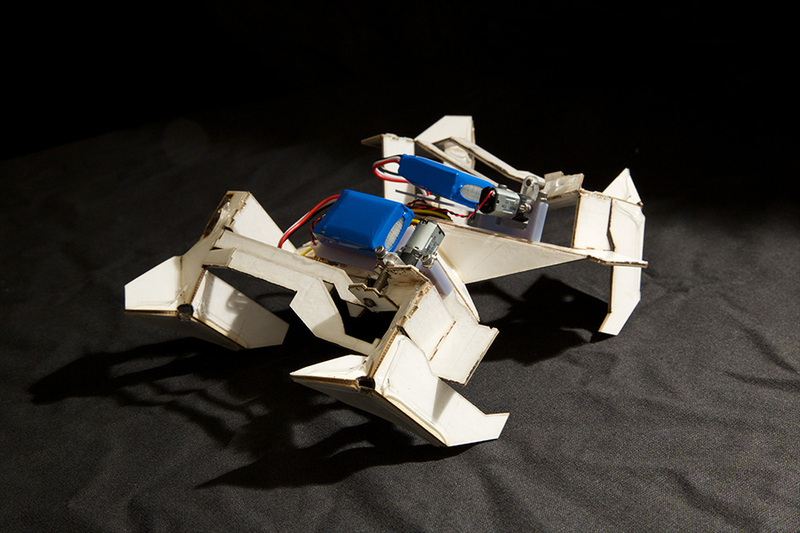 The Distributed Robotics Laboratory’s current slate of projects covers the gamut of bleeding-edge robotics. 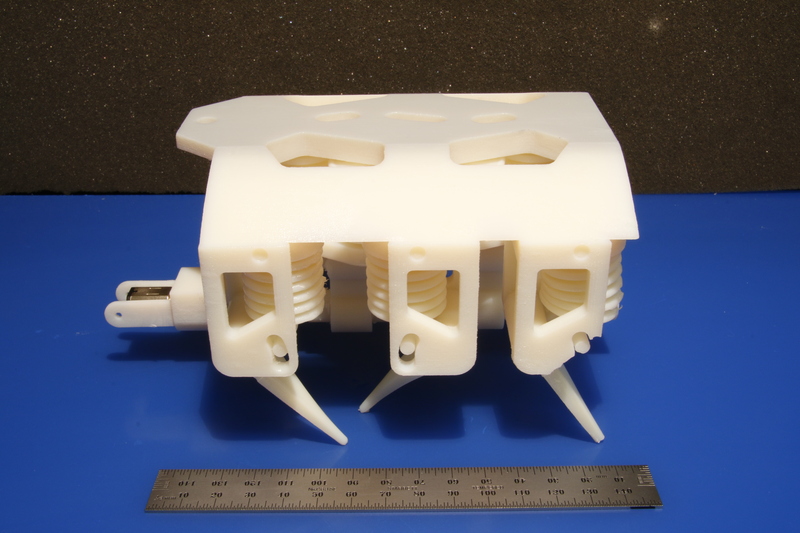 One project makes it possible to 3D-print a robot, hydraulics and all, in a single step. In another impressive demo, an origami robot folds into a predetermined structure when heat is applied and then walks away with the help of magnets. There are a number of biologically inspired soft robots and a brain-controlled industrial ‘bot programmed to learn from its own mistakes. Between meetings, we sit and chat. You have to take advantage of the brief moments of down time, and Rus is more than happy to fill each moment of silence with ideas about robotics, computer science and her thoughts on leading a happy life. She tells me, off-handedly, that she’s becoming really interested in the science of sleep — though between lab work, travel and talks, it’s hard to imagine Rus gets much in the way of it. And it’s clear that every moment she’s awake, her mind is working overtime. As we talk, soft music twinkles in through her open door. It’s Beethoven. Rus stands up and beckons me to follow. She disappears around the corner and then pops back in, beckoning me to follow. There’s a small piano just outside her office, where a student sits, playing a familiar piece of classical music. 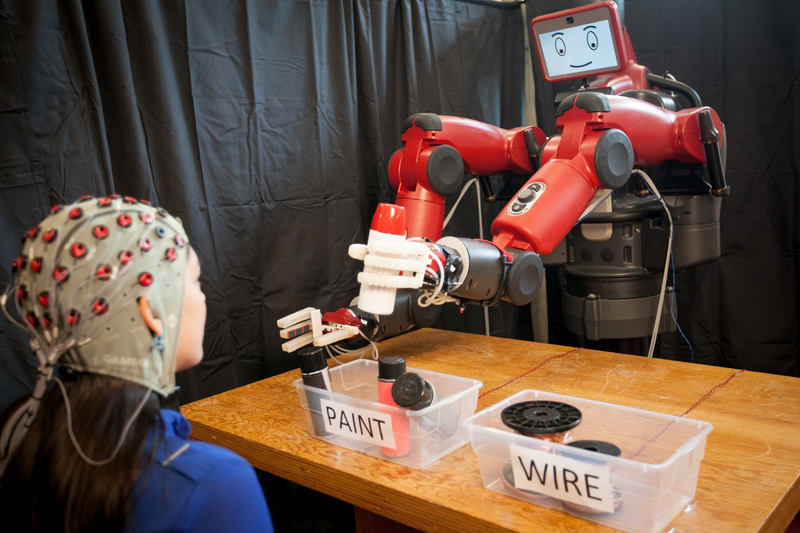 Rus will be appearing at TC Sessions: Robotics on July 17 in Cambridge, MA.